Looks to be a Colorado (orange) car; it’s lighter than Inka and Inka did not yet exist in 1970. That said....a Colorado 1970 with a factory sunroof is not a bad thing! I’d predict VIN 1671302 is a January 1970 car. 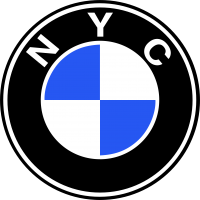 BMW Group Archives (info.grouparchiv@bmwgroup.com) can verify easily. Looks like this one may have sold as it is no longer active.